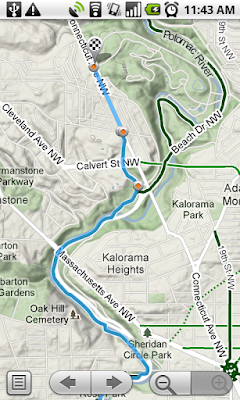 Google Lat Long: What’s new with biking directions on Google Maps? 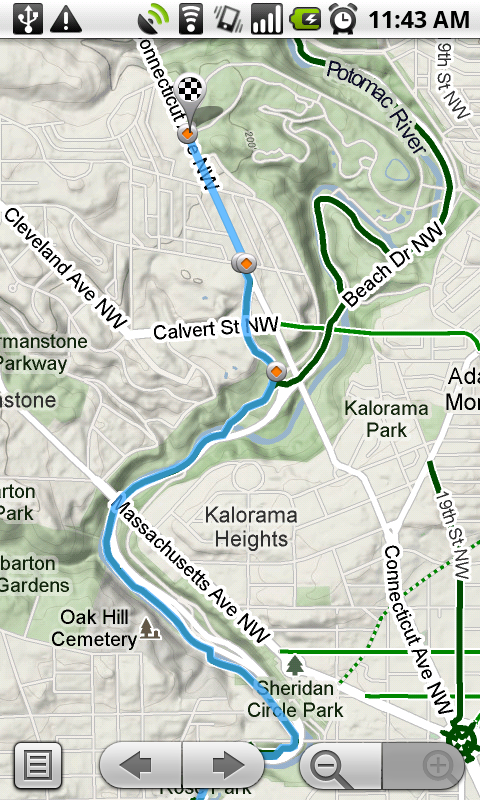 What’s new with biking directions on Google Maps? 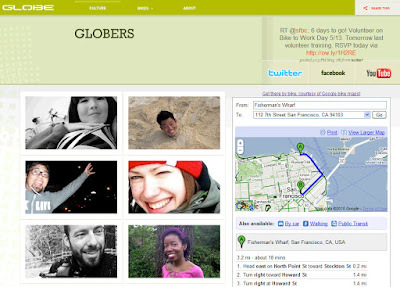 Check out yesterday’s post for some great news: biking directions are now available on mobile! Back when we first launched in March, we promised we were working hard on it, and now the wait is over for Android users. Now you can plan out your route to work directly from your phone - and if end up having such a great time while you’re on your way, pull out your phone and search for some new rides! There are two important parts of Google Maps biking directions: the bike specific routing and the customized look and feel of the bicycling layer. Our routing algorithm tries to put riders on trails and roads with bike lanes or recommended streets as much as possible, while the bicycling layer visually highlights the information that's most relevant to cyclists. We've drawn attention to the bike trails, bike lanes, and bike-friendly roads with color-coded lines on the map. This custom layer is now available in the Maps API v3, so when you add biking directions to your website, users will get the same visually rich experience that they get on Google Maps. Globe Bikes is already taking advantage of this improvement by placing our simple biking directions gadget on their website. If you have the skills to copy and paste, you have the skills to add the gadget to your website. In March we launched biking directions with more than 12,000 miles of trails and bike lane data for 150 cities across the country. We’re continually working to improve this coverage by adding new trails and route information submitted by our users via the “Report a Problem” tool. So far we’ve received thousands of suggestions and tips from dedicated cyclists around the country and have made a number of additions and improvements. You’ll now find 39 more cities with trail and bike lane data; for example, check out all the new data in Sacramento. Hopefully this has managed to convince you to hop on your bike to get to work - and lots of other places - this month. Before you head out, you can check out the League of American Bicyclists' website for more information about special Bike Month festivities in your part of the country, as well as tips for a safe and fun ride.